When you are shopping for beautiful funeral flowers for a memorial service or funeral service, the Fremont Memorial Chapel Sympathy Store has breathtaking arrangements from which to choose. Floral funeral arrangements may be sent directly to the funeral home or the church. Although customs vary depending on the family’s religion or ethnicity, funeral arrangements of flowers or basket gardens often are sent to the church, the funeral home, or the family’s home. If the obituary requests donations in lieu of flowers, always follow the family's wishes. Sending funeral flowers are a traditional method of expressing love, warmth and comfort. Flower arrangements for the funeral home or church vary, and have particular meanings. A floral wreath is a circular arrangement, representing eternal life. Sprays are arrangements that are meant to be viewed from the front only. Casket sprays are floral arrangements that sit on top of the casket. Inside pieces are small floral sprays that are placed inside the casket. A floral arrangement, from cut flowers to basket and container arrangements may be sent directly to the home of the family. Sometimes live potted plants are presented to the bereaved because they continue to live and grow. Funeral flowers are not deemed appropriate for many religions and cultures. It may be more acceptable to send baskets of food or fruit baskets to the home of the grieving family during the mourning period. Funeral flowers are one way people express their love for the deceased and concern for members of the family. Flowers can be ordered from a florist and delivered to the funeral home or residence. Flowers for a funeral should arrive at the funeral home before the first visiting hours and should be there when the family arrives. If time does not permit delivery before visiting hours, flowers or a plant can be sent to the home of the bereaved. Visit the Funeral Flowers Store to see our selection of wreaths, sprays and funeral flower arrangements. We are Fremont Memorial Chapel, a family owned and operated funeral home serving the area surrounding Fremont CA. At Fremont Memorial Chapel, our staff is compassionate and caring. 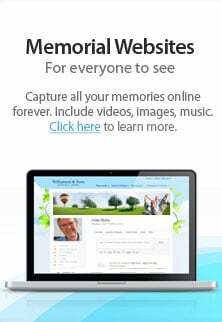 It is our hope that this website can provide you all the resources you may need to begin considering funeral arrangements. We understand how difficult it may be to trust strangers when it comes to fulfilling the final wishes of your loved ones. Our goal is to earn your trust as we guide you in any decisions you make to honor the life and memory of your loved one. We stake our entire reputation on offering dignified, high quality funeral and cremation services. Our funeral directors offer careful and detailed personal attention to all who choose to consult with us. Fremont Memorial Chapel will make the funeral arrangement process as easy as possible for as many clients as possible. Should you need our services, please do not hesitate to give us a call at (510) 793-8900.